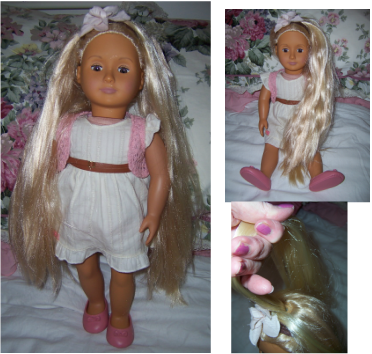 Our doll is called Charlene, and is very similar to the Journey Girl dolls and American Girl dolls. 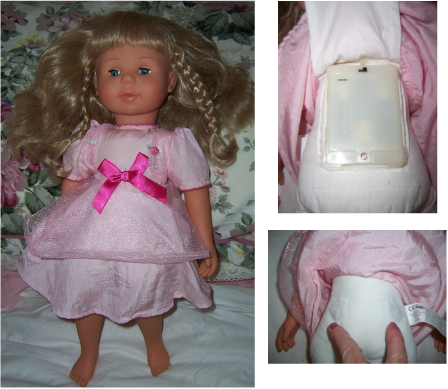 Our doll is called Phoebe and is very similar to the Journey Girl dolls and American Girl dolls. It is very soft, shiny and reaches almost to her shoes. 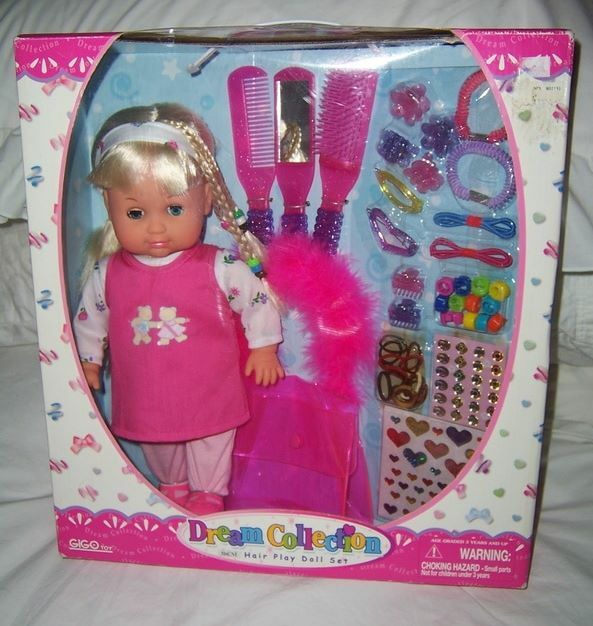 This doll in her original box with all her little extras would be a lovely present for a special little person who loves to be a hairdresser. She has a soft filled body with vinyll arms and legs, rooted blonde hair, and open and shut sleeping eyes. A lovely little doll for the small hairdresser. WITH ORIGINAL SWIM SUIT OUTFIT, BUCKET SPADE ETC. 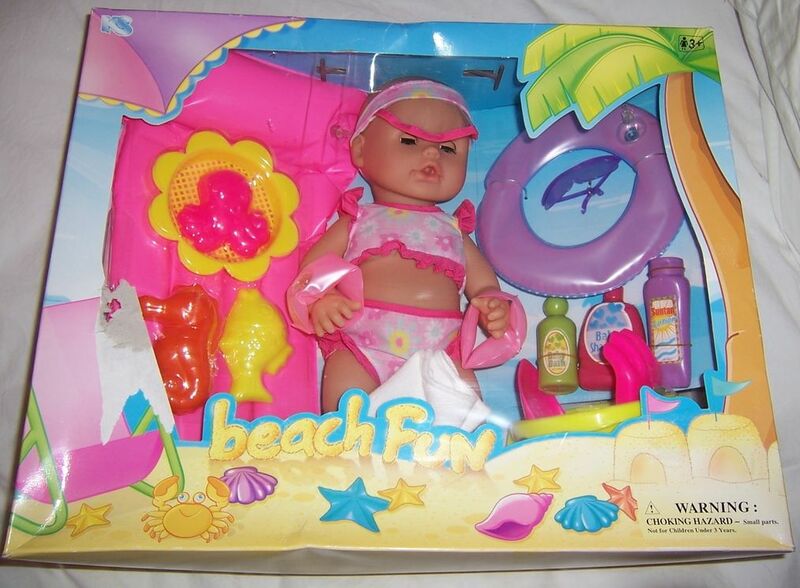 This doll in her original box with all her little extras would be a lovely present for a special little person. She is fully jointed vinyl doll with open and shut blue eyes. She is all ready for a day at the beach and is wearing a sun hat, swimming bathers and has her little pink floaties on each arm. She would be wonderful in the bath. box has some wear to it.